I tend to like to documents things carefully in my life, from finances to hobbies. When I got into fish keeping I decided to start an aquarium journal to keep track of all the activities and changes to our tank. Here is an example of my aquarium journal for the first year of our Fluval Spec V.
Maintenance: I like to write down what maintenance I perform on the aquarium and when. It seems easy enough to remember, but sometimes I loose track of when performed the last water change. Changes: I make a note any time I make a change to the tank’s operation. An example is lighting duration – I make note of how I schedule my light timer and when the change occurred. If the result isn’t desired I can understand what to do next. If I make a change to what I feed the fish, I note when I made the change. This could be useful if any problem arise. 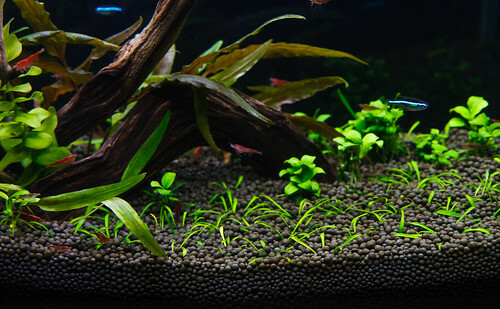 Fertilizers: I started with a low light tank and added fertilizers weekly. A journal helped me keep track what day I add fertilizers and how much. I now operate a high-tech tank with pressurized CO2 and still have need to record changes I make to the daily fertilizers. Again, if the plants aren’t responding well I can look back at the doses and set a new course. CO2: If you are adding pressurized CO2 to your tank, a journal is very important. During setup helpful to keep track of changes as you dial in your CO2 flowrate. Livestock: I write down any time I add a new fish or critter and if one of them dies. Having record of when fish were added makes it easy to determine if the death was end of life or something else. 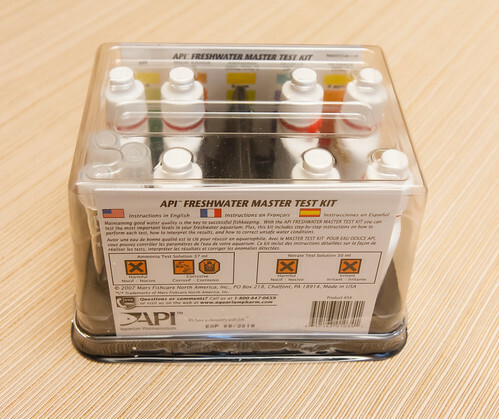 Water Parameters: I don’t test my water often anymore, but when I do, I write down the results for tested PH, ammonia, Nitrite, and Nitrate. This can be critical to track when cycling a new tank. 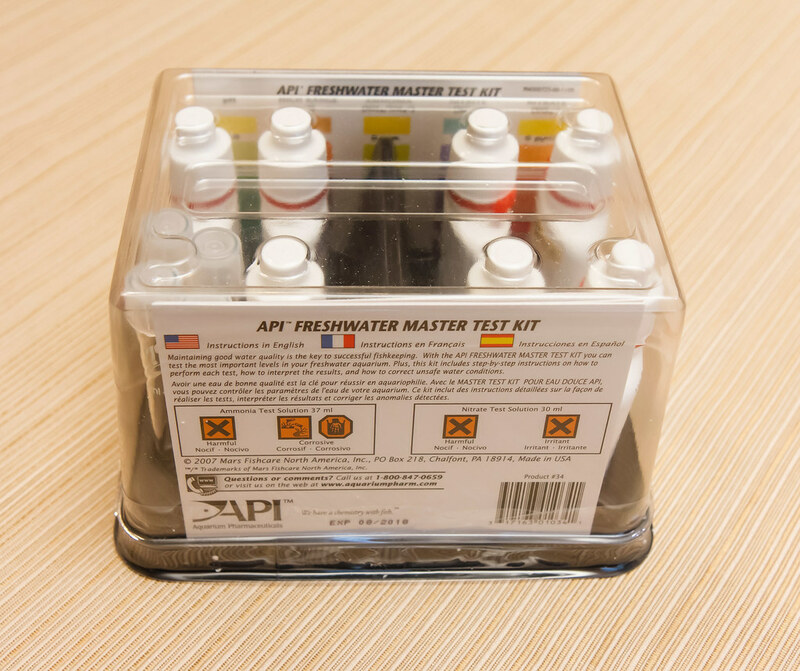 Equipment: If you replace a piece of equipment, filter media, etc. it is a good idea to note when this occurs. If you know the age of your parts that may influence your decision to replace it. Tank Condition: If anything out of the ordinary occurs it is worth noting. When I had an outbreak of hair algae I recorded when it started, ended, and what I thought the cause was. I keep our aquarium journal in electronic format using the notes app on an iPhone. It is synced so that I can also edit the same journal on our computer if that is more convenient. It works for me, but a notebook and paper would work just as well. For myself, an aquarium journal has been a great tool starting out in this hobby. It has let me note changes and track what works and what doesn’t. Make it as simple or elaborate as you want, but don’t let it be so oppressive you don’t keep up with it. This entry was posted in Aquarium Tips and tagged aquarium, journal. Bookmark the permalink.